2018 WA Spring Camp Recap, Hoyoung Sohn Dominates! The Road to Vegas XXXII continued with a stop in the Northwest on Sunday March 18th. The scene was set on a perfect day at Bellevue High School in Washington. Athletes from over 10 states and 2 countries were in attendance ready to learn and compete. The talent in this part of the country continues to grow each time we visit. Several specialists in attendance have the ability to challenge for a TOP 12 spot coming up this May in Las Vegas. Take a look at the results. Hoyoung put on an incredible performance in Seattle. The talented kicker from Oregon won an amazing 3 of 4 major competitions. He won both field goal competitions by going over 90% on the day with several kicks from 50 and 55 plus yards. He won the kickoff competition with his consistency and a final ball of 68 yards with 3.83 hang time. Hoyoung stepped up and defeated Eisenkraft in the final with 47 and 50 yard field goals under intense pressure. He is going to be a great college kicker. David continues to prove that he is one of the best rising juniors in the nation. 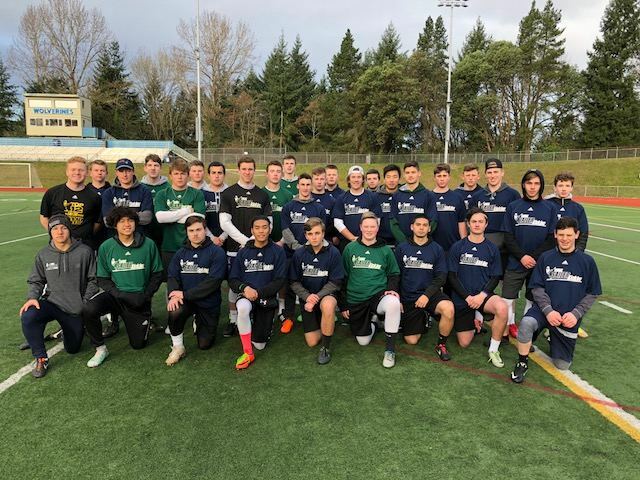 The long time Chris Sailer Kicking Kicker/Punter was solid once again in Seattle. He won the punt competition by averaging 40+ yards, with 4.2+ hang time. He was also strong on both field goal and kickoff. David is a good looking athlete that has the tools to challenge at the college level. Look for him to do very well at Vegas XXXII. He should be able to compete for a TOP 12 spot. Hayden is a very talented high school kicking prospect. A great looking athlete with one of the stronger legs in his class. He shows that he can hit a D1 level ball on field goal off the ground. Kickoffs are coming along nicely, a strength. His technique and consistency improves each time we see him. Hayden is a competitor that does well under pressure. Look for Hayden to dominate Vegas XXXII this coming May. He has the tools to challenge for a TOP 12 spot. I look forward to seeing what the future holds. 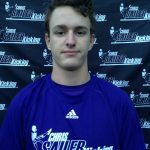 The longtime Chris Sailer Kicking student is well on his way. He is great athlete with one of the strongest legs in his class. He is smooth and accurate on field goals. He gets nice lift on his ball and has excellent range. Kickoffs are strong, near the very top of his class. Also a talented punter. He shows he can hit a nice ball and is one of the more consistent punters in his class. A competitor that does his best under pressure. Sam has all the tools to take his game to the college level. The future is bright with continued hard work. Class of 2019 Standouts: David Eisenkraft, Dillon Dennis, Hayden Skiba, Blake Hall, Daniel Garica, Griffin Cummins, Luke Campo, Max Chandler, Nick Kokich, Ben Victoria, Bryce Kamrath, Will DeLoretto. Class of 2020 Standouts: Sam Stephenson, Blake Glessner, Garrett Craig, Jacob Hausserman, Nick Hill, Ben DeVries, Joshua Villarino, Nathan Gerde. Class of 2021 Standouts: Jay Kartub, Hayden Lovett, Matthew Sailer, Milo Geiser, James Werth. Youth Future Stars: Spencer King, Marcus Merkelbach. 2017 WA Fall Camp Recap – Cunningham Comes Up Big! The Chris Sailer Kicking 2017 Fall Camp Tour made a stop in Seattle, WA on Sunday October 22nd. The talent and competition in the Northwest continues to get better and better with each camp. Specialists from 8 states trained and competed on a beautiful day with near perfect conditions. Take a look at the results. 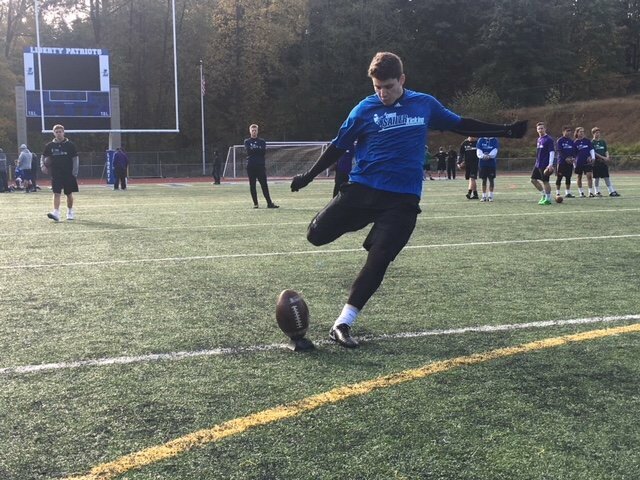 Leo Cunningham (2019, WA) – Leo is a solid junior kicking prospect. He is an accurate field goal kicker with nice range. On this day he won a major field goal competition by nailing 6-8 field goals with a long of 51. He also came through in the head to head finals by hitting from 45 yards out. Leo should compete very well in Las Vegas this coming January. 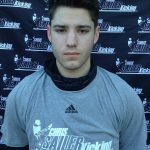 Kyle Sentkowski (JC / CA) – Kyle was by far the most dominant kicker at camp. He was smooth and accurate on field goals all day long. He gets great height on his ball and has 55+ yard range. His kickoffs are strong. He averaged 65+ yards, with 4.0+ hang time. He was also impressive punting the football. He is an experienced player that is going to be a great addition to a 4-year college program. 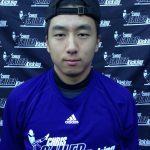 Hoyoung Sohn (2018, OR) – Hoyoung is an impressive all around specialist. He has an explosive leg and kicks with great confidence. He has 50+ yard range on field goals. His drives his kickoffs into the endzone. And he is a capable punter. On this day, he won the punt competition by staying consistent and showing he can hit a big ball at times. Hoyoung is a strong senior prospect that has all the tools to compete at the next level. Look for him to do very well in Las Vegas in January. The road to Vegas XXXI continues with stops in Los Angeles, CA (October 29) Dallas, TX (November 12) Charlotte, NC (November 19) Atlanta, GA (December 3) Phoenix, AZ (December 11) Massillon, OH (December 17) & Los Angeles, CA (January 6). The largest kicking, punting & long snapping camp in the World…. Vegas XXXI will take place January 12-14, 2018. Want to be a part of it? Visit ChrisSailerKicking.com for more information. Kyle Sentkowski is a top national junior college prospect.